Welcome to Miracle Sliding Doors… Feel free to contact us for an obligation free assessment of your needs. IS YOUR PATIO SLIDING DOOR DRIVING YOU NUTS? Need an affordable solution to make your clunker of a sliding door work like brand new for under $300? 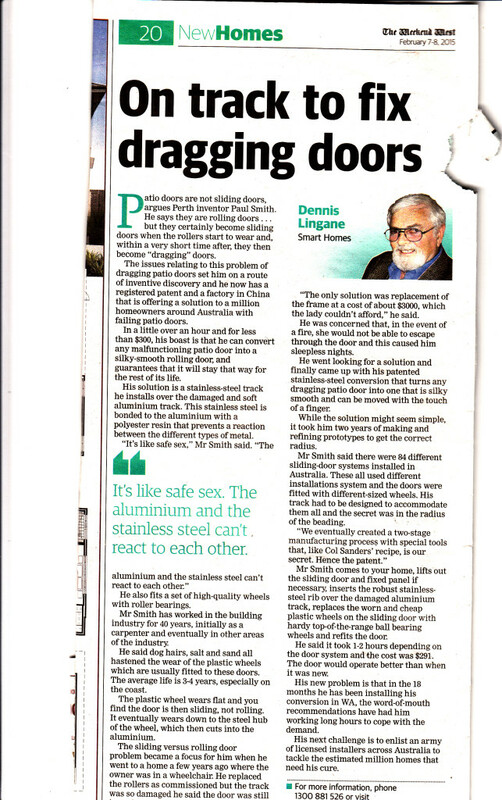 Take a few moments next time you come across a badly working sliding door and have a really good look at the track. Look at the ends of the track and you will see what it should look like and then follow it back and see the damaged flat spots, the dips and splits. It is this damage that will rip your rollers apart no matter how many times you pay to replace them. Only fixing the track can stop the ongoing maintenance costs from eating a hole in your pocket. We understand how you feel when things simply don’t work the way they should. 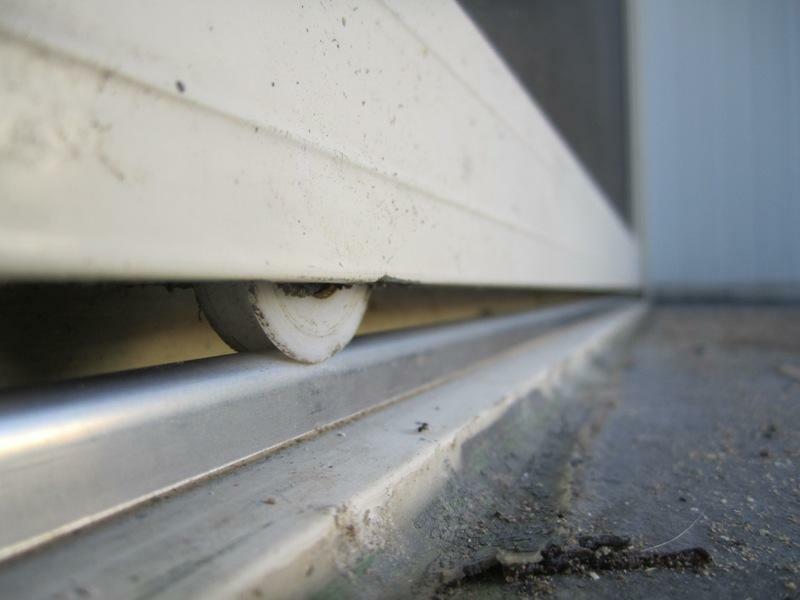 If your patio sliding door is damaged to a point where simply changing the rollers is nothing short of a waste of time and money then fixing the track first will be the only long term solution. The good news is there is now a world class affordable solution. The Australian InnovationPatented No. 2013101516 Miracle Stainless Steel Replacement Cover Track will turn the worst working patio sliding door back into a better than new running condition because it can now run on high grade super hard Stainless Steel unlike the soft aluminum of the original track. You can now have the best for the lowest repair cost ever and solve your Patio Sliding Door problems once and for all. The Miracle Stainless Steel Cover Tracks are so strong and reliable we Guarantee them 100% to work for the life of your door. We also guarantee that you will easily open and shut the door with one finger when we have fixed your Sliding Patio Door or we won’t charge you one cent, no matter what time or expense we have put into your door. You simply have nothing to loose. Fast turn around with getting things fixed. Permanent solution to eliminating damaged tracks. Guarantee to be the lowest cost ever to fix this problem. Set of top quality rollers replaced at the same time. Door lock set to work as it should. Good experience to have things working as they should. Real value outcome for your property. Frustrating problem off your back for good. 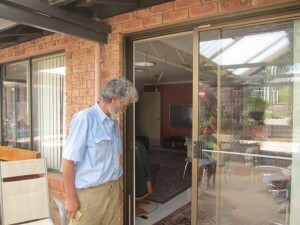 Miracle Sliding Doors has fixed some of the worst problem sliding patio doors you could ever come across. Anne-Gael, from Hamilton Hill almost gave up in utter despair with her door after spending hundreds of dollars calling maintenance people to only have her door fail each time. In less than 2 hours we turned her door, given up as impossible to repair by others, into a smooth sliding and perfect working door which will will give her many years of hassle free service. 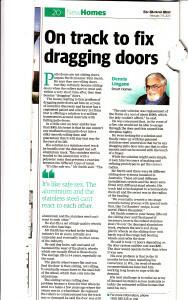 Ron, from Jandakot rang us to fix his door knowing he had nothing to lose with our Fix it or it’s Free guarantee. Ron, a refrigeration engineer sat back in his patio chair and watched our every move and was fascinated to see how our Miracle replacement track transformed his clunker of a sliding door back into a super smooth slider. 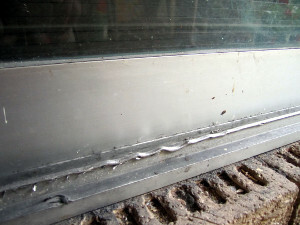 For a once only low fixed fee of $265.00 ex GST we will make your patio door run like new. No longer do you need to face $1500 – $2000 costs having to replace a badly worn frame and have all the inconvenience that comes with that. The Miracle way is hassle free and comes with a new Miracle stainless steel cover track, new high grade rollers, a fully cleaned down frame and sill, adjusted locks and we make good any dents in the frame which can also stop the door from running smoothly. 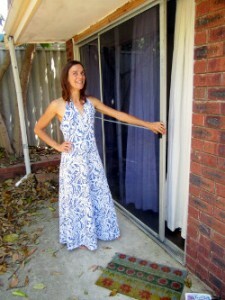 With more than eighty six different types of carriages and rollers used in Australia to cover all the Patio Sliding Doors there is little wonder most doors over time have been fitted with a real mishmash of wrong products causing the problems to be amplified which cause even more damage over time. We only fit the best of what is right for your door. or contact Executive Assistant – Anya on 0468 863 374 for any queries to get your sticky door back on track. Over 40 years in the building industry with a ‘do it once’ and ‘do it well’ attitude…. You can trust the job will be done right! If we can’t fix it, you pay nothing! We aim to cover a very wide area and have technicians in multiple locations, ready to serve you. Installation packs also available for those with a ‘do-it-yourself’ attitude. We have repair kits and technicians ready to go… We aim to respond to your request quickly and efficiently. Call now, to make an appointment. We have various options to suit your needs. Discounts apply for multiple doors on the same site. better than new in no time! Paul G. Smith has been in the buiding industry for over 40 years! Nothing has him more focused than the issue of worn-out sliding doors degrading the value of property and leaving people feeling frustrated. Something really needed to be done and Paul determined to beat this problem for once and for all.